Home » Events and Blogs » Blog » Let’s talk about your sweet tooth! Let’s talk about your sweet tooth! “Sugar is SO bad for you! You MUST eliminate it from your diet”, to which you might respond “Yep, absolutely NO sugar starting TODAY!”. We fast forward to the next day…you’re feeling tired…you’re feeling stressed…you just need a little ‘pick me up’…you stop at the servo and buy a bar of chocolate…so much for no sugar! Would you give into temptation if you knew what those refined, highly processed sugars were doing to your body? Probably not. 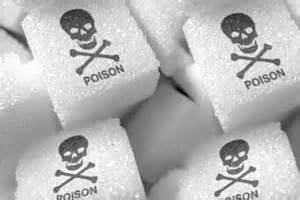 Death by sugar…it’s not an overstatement! Not only has sugar been linked to being one of the primary factors causing obesity, it’s also one of the main causes for chronic and lethal diseases. Unfortunately, sugar is HIGHLY addictive, making it a real test of will-power to give up! We all know where sugar is hiding, in chocolate bars, lollies, cakes and biscuits but what’s disgustingly shocking is the amount of sugar that is in our everyday foods such as sauces, dips, spreads and dressings. – Has been linked to a whole range of auto-immune diseases such as Parkinson’s disease. 2. Eliminate temptations – if you’re one to have a secret stash of chocolate for those evenings you feel like a treat, get rid of them! It will be easier to eliminate sugar if there’s none around! 3. Have fresh fruit available – whilst your detoxing from your refined sugars, you’ll have those CRAZY sugar cravings! The best thing to do is drink plenty of water and have fruits available to give you a bit of a natural sugar kick! 4. Explore your natural sweeteners – replace your refined sugar with natural sweeteners such as coconut sugar, raw honey, real maple syrup, dates and stevia. 5. Try new recipes – if you’re big into baking and making delicious treats, why not try some RAW desserts? They have ONLY natural sweeteners and most of the time, you can’t tell they’re healthy, but they most certainly are! !